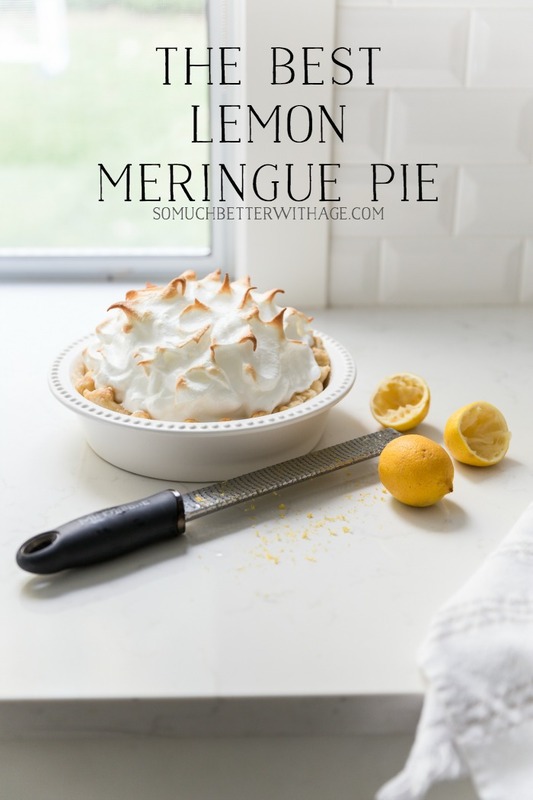 I’m sharing the best lemon meringue pie recipe that I’ve had since high school. 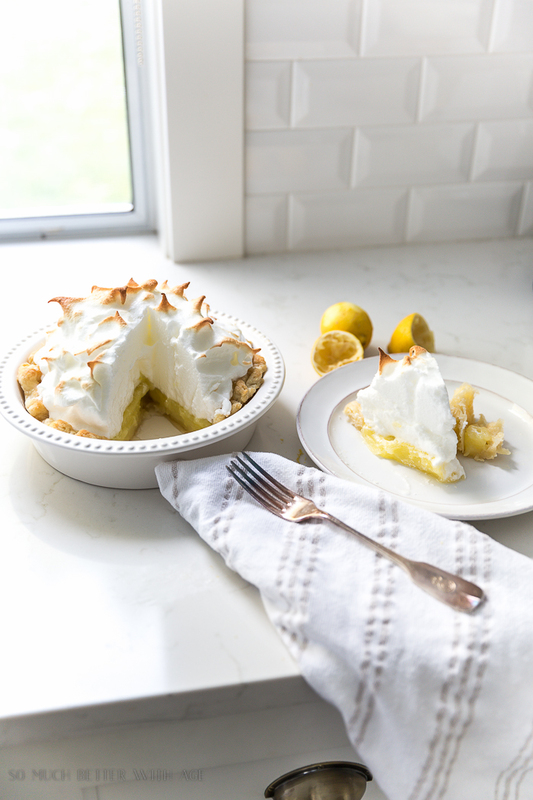 I love lemon desserts, not too sweet and a little tart. 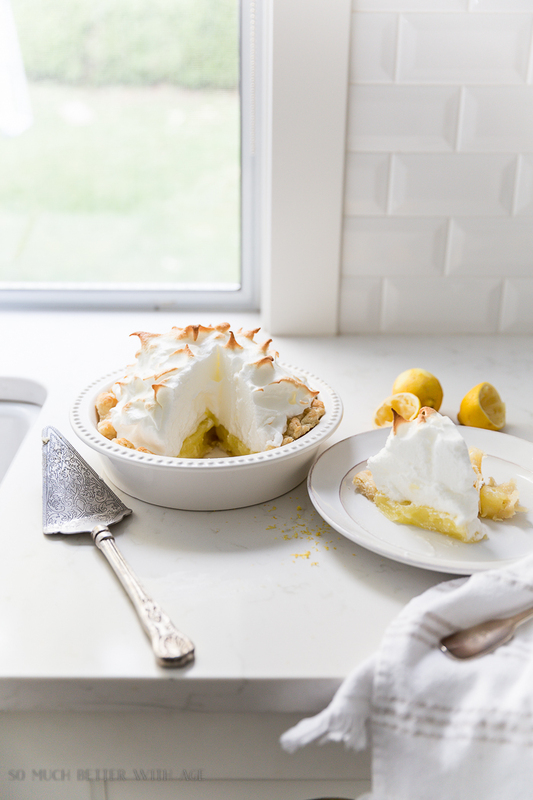 This lemon pie is just that, not too sweet and just the right amount of tart. One of my favorite tips for making pastry is to barely mix it and put it in plastic wrap and pop it in the fridge for about an hour to chill. 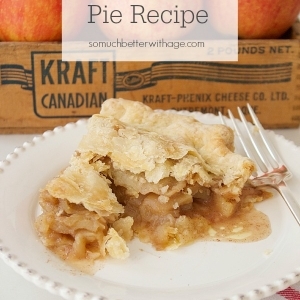 For the recipe, you only need half a pie pastry recipe as you only need pastry for the base so you can double the pie filling to make two pies or make something else with the leftover pastry. 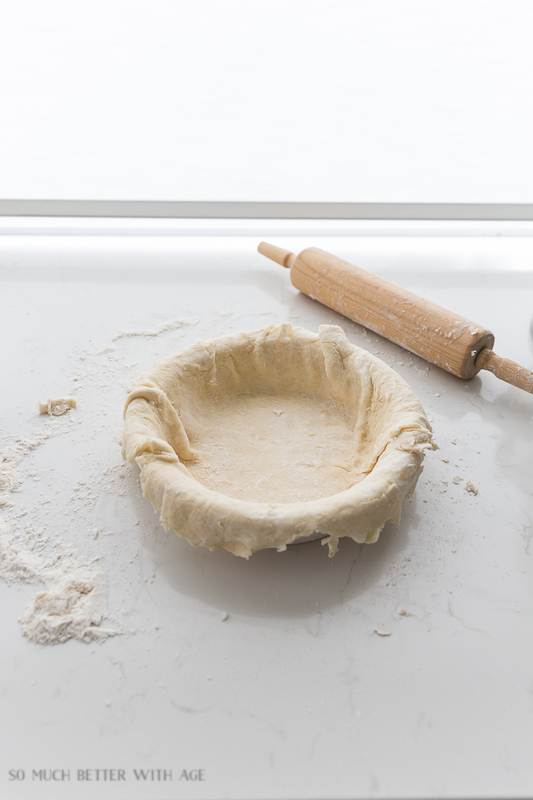 Make sure to roll out the pastry larger than your pie plate and place it inside the pie plate without stretching it. Flute the edges of the pastry and prick the bottom and sides with a fork to let air escape (if you don’t, the pastry will puff up and stay that way). 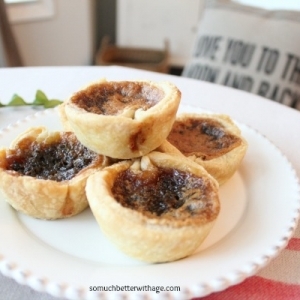 For extra weight, I added ceramic pie weights to the bottom of the pastry. You can also use dried beans. Bake the pie crust at 450 deg F for 8-10 minutes and remove the weights. Add the filling and the meringue on top and bake a bit to darken the peaks of the meringue. 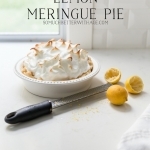 This is the best lemon meringue pie ever! 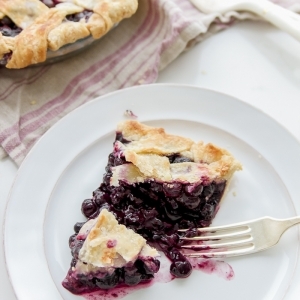 Not too sweet and just the perfect amount of tart! In a saucepan, combine sugar, cornstarch. Add cold water, mix. Stir in hot water. Cook over medium heat stirring constantly until mixture is thick and clear. 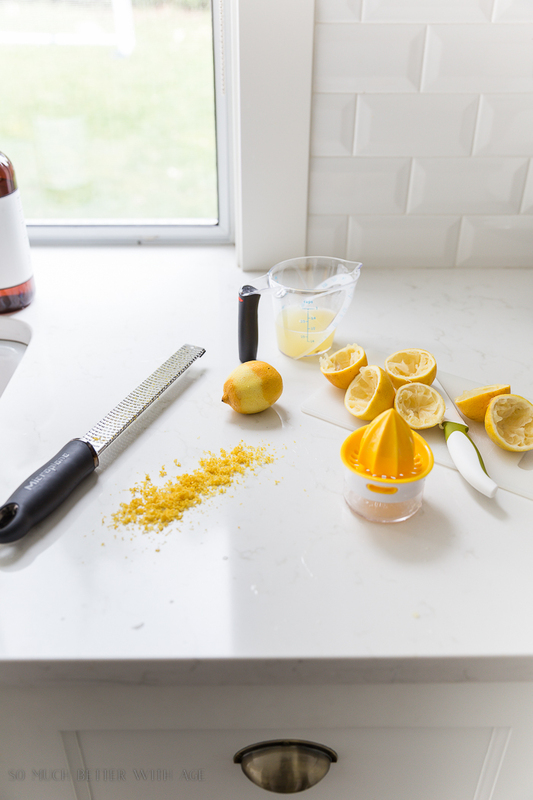 Beat egg yolks. Stir a small amount of hot mixture in with the egg yolks, add more gradually and then return all of the warmed mixture to the remaining portion in the saucepan (this prevents eggs from being scrambled). Bring to a boil and cook for 1 minute more, stirring constantly. Remove from the heat, add butter and lemon rind. Slowly stir in lemon juice. 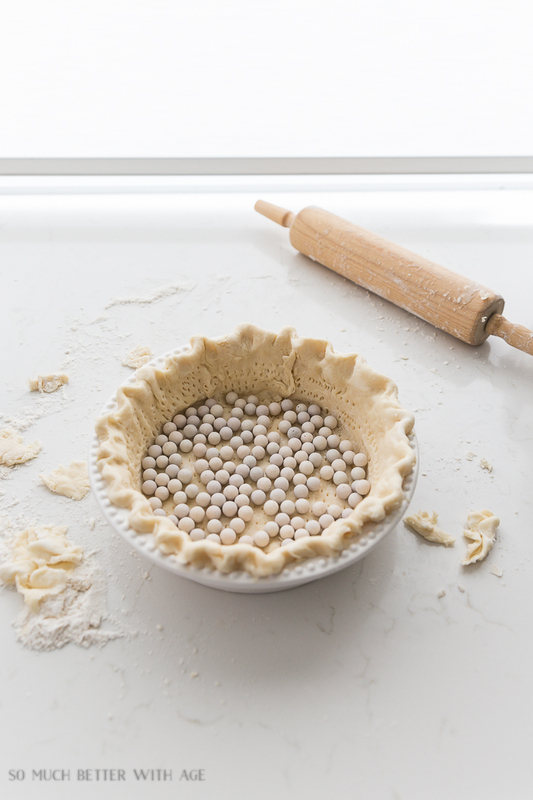 Cool to lukewarm before pouring into pastry shell. Add salt to the egg whites and beat the eggs with the wire whip (Kitchenaid mixer) until fluffy. 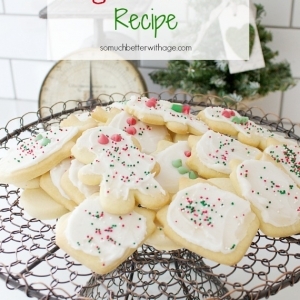 Sprinkle in cream of tartar and beat until soft peaks. Add sugar gradually and beat until stiff. Spread on pie filling. Use the back of a spoon to make the little peaks stand up. Bake at 350 deg F for 10-12 min. This looks so yummy Jamie! I`m giving it a try very soon! What size pie pan should be used for this recipe – 9″ or 10″? Ir looks like a delicious recipe. 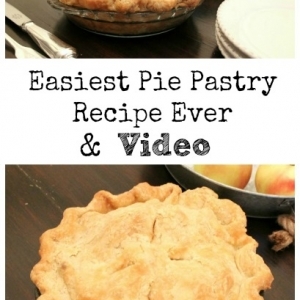 Great question – I use a 9″ plate for these types of pie recipes. 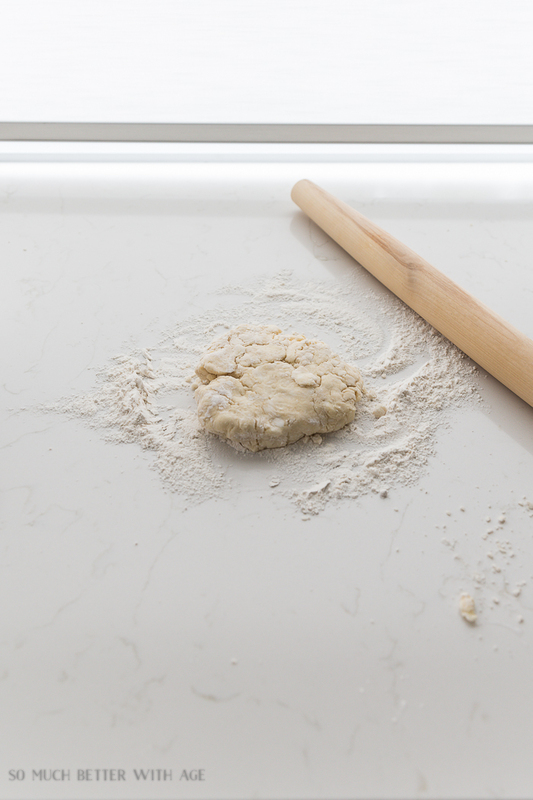 Which rolling pin do you like best? Yes more recipes please.